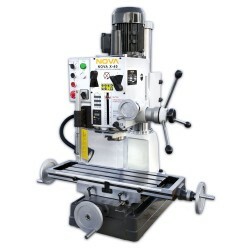 Milling machines There are 18 products. High quality milling machine. Also available with digital display. NOVA BF20VL is a milling machine (with display). Milling machine with 3-axis digital display. Sturdy structure. Sturdy milling machine. Tilting head and t-slot table. Excellent for small milling jobs. 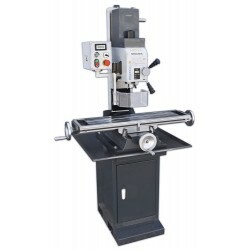 Milling machine with excellent price/quality ratio. Powerfull 1.1kW motor. Milling machine with 3-axis display. Tilting head and study structure. 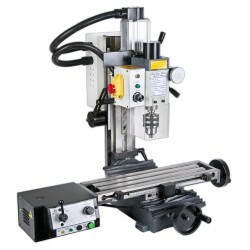 Drilling and milling machine for heavy-duty professional use. 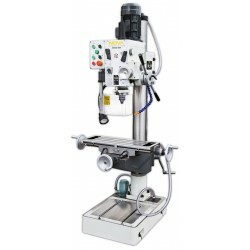 Drilling/Milling machine with feeding. For heavy-duty professional use.